Could you imagine sensationalizing, laughing at, or hating someone purely because he or she suffers from Lou Gehrig’s disease (ALS)? It’s a tough bit of cruelty to accept, but it’s happening to Charlie Sheen right now. I started a weekend series on Charlie yesterday, the article beginning with the declaration that I can’t stand his behavior. But I went on to explain I’d made peace with my disgust by taking into account his emotional/mental health – and substance abuse – pathology. I also offered my diagnostic opinions. Click here to read yesterday’s piece (peace). Today, let’s transition from everything Charlie to all things media and public. In yesterday’s article I stuck my neck out (hardly) and offered the opinion that Charlie Sheen is emotionally/mentally ill. I even went so far as to say he poses a threat to his safety, as well as others’. I acknowledged that the behavior of the emotionally/mentally ill may at times be hard to understand and tolerate. However, I followed with this reality – biochemistry and the environment in which we’re raised are legitimate explanations for disturbing emotional and mental presentations. If I’m right, what’s up with the media/public’s frenzied reaction to Charlie? Would it be considered acceptable if the same was happening to – say – the brilliant theoretical physicist Stephen Hawking? 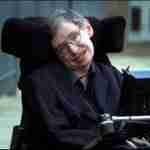 He has amyotrophic lateral sclerosis (ALS), a situation well beyond his control. That’s him to the left – get your yucks. Ah, but you say Charlie can control his behavior. Can he? As a counselor, I can tell you that unless, and until, a Bipolar I client is stable on meds, most of us won’t work with him or her. It would be like a cardiologist working with a hypertensive patient who refuses meds and lifestyle change. What’s the point? I would never suggest the media and public don’t have the right to make of Charlie what they will. But I would suggest we take a long look at the foundation and ramifications of our attention, laughter, and disdain. Frankly, if the media and public truly cared about Charlie – a fellow human being – he’d get no attention at all in his current state. But as it stands now, Charlie is nothing more than a puppet performing for the pleasure of the media and public. She goes on to say that TV is offering “more human train wrecks disguised as entertainment.” And being a part of the human race, I’m very ashamed to say, yes Ms. Riley, we’re soaking it all in without an ounce of insight and heart. I’ll guarantee there’s a producer somewhere who’s licking his/her chops over exactly that possibility. Sadly, millions would tune-in. I still can’t tolerate your behavior, but I hate seeing the victimization of the innocent. You’re actually a player on both sides of the fence, aren’t you? Within the context of educating the public on the emotional and mental health disorders – and how twisted many of us are – I thank you for your pathology. But I’d feel a whole lot better seeing you well. Peace! Click here to read Rochelle Riley’s article.